Selecting a game meat like venison when it’s in (hunting) season can give you sustainable and tasty lean gains. When the colder weather blows into town, most guys are focused on the big game on TV and not the game that is roaming around in their local forests. Deer populations have exploded in recent years, and while that’s a danger to motorists, it also means there is a lot of delicious lean meat hanging out in the woods. And if you are serious about building lean muscle and getting stronger, you know that increasing your intake of high-quality protein should be a priority. 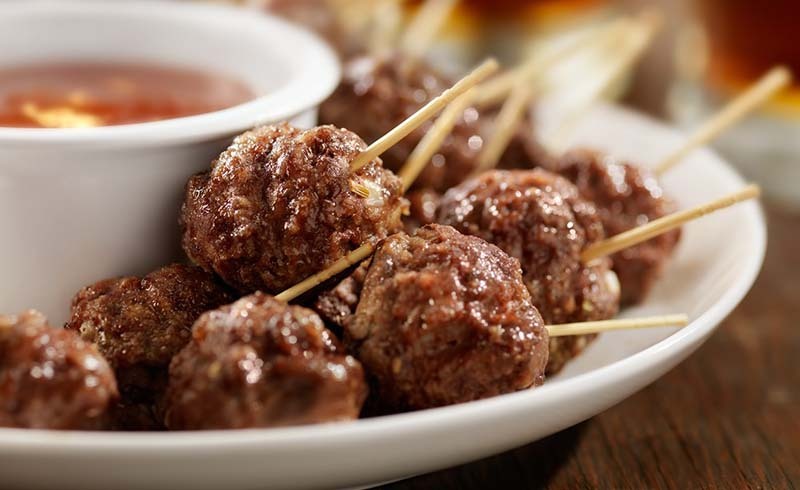 On average, a three-ounce cut of venison equals about 129 calories and has 27 grams of protein, two grams of fat, and one gram of saturated fat. “That makes it a low-fat but high-quality protein food perfect for a bodybuilder looking to increase muscle mass while main- taining a lower body-fat percentage,” Mangieri says. 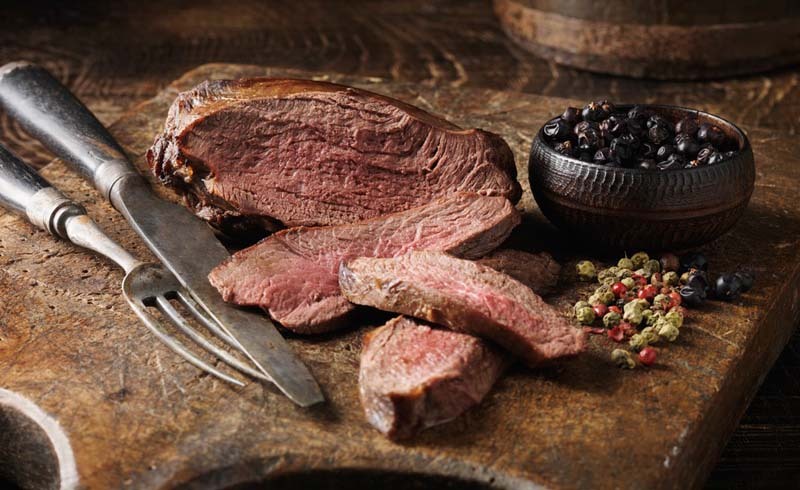 She notes that those three ounces of venison will also provide 45% of a man’s daily iron needs for the day and that the meat is a great source of phosphorus, zinc, selenium, and B vitamins. 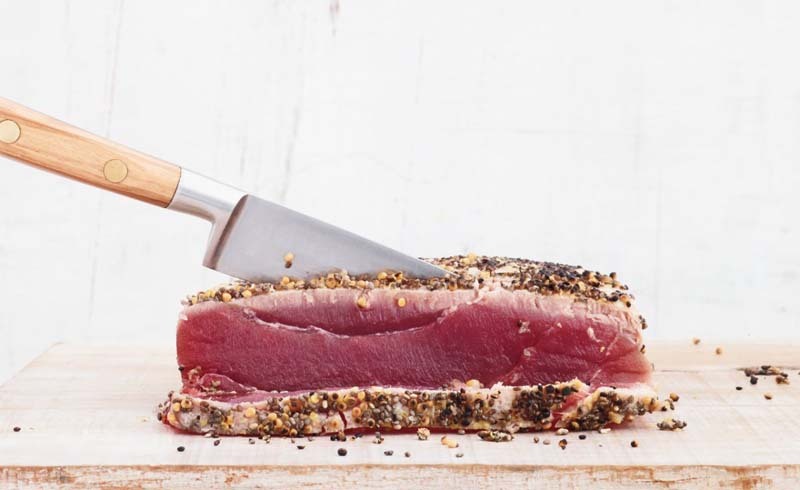 The main drawback to venison is that the lower fat content makes it less tender than beef, but marinades can help with this problem. Also, it’s slightly higher in cho- lesterol than other red meats, so make sure to check your portions and stick with three to four ounces at one sitting. 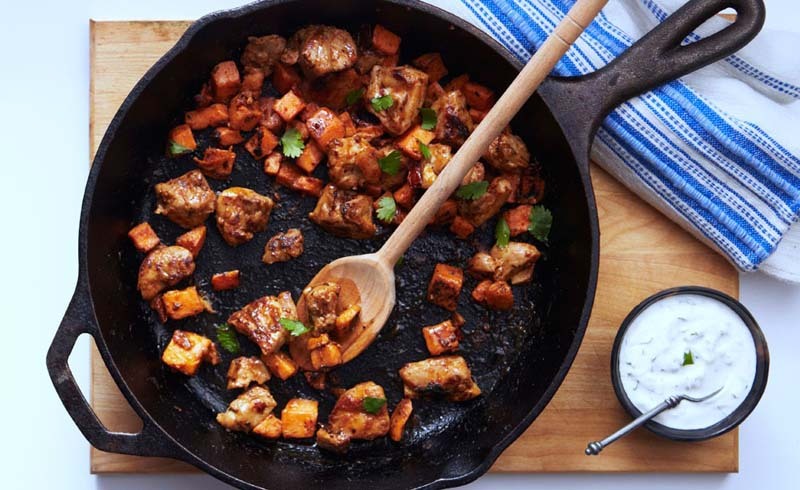 Add venison to your breakfast to balance the macronutrient distribution—make a venison hash with vegetables and potatoes for a complete meal. 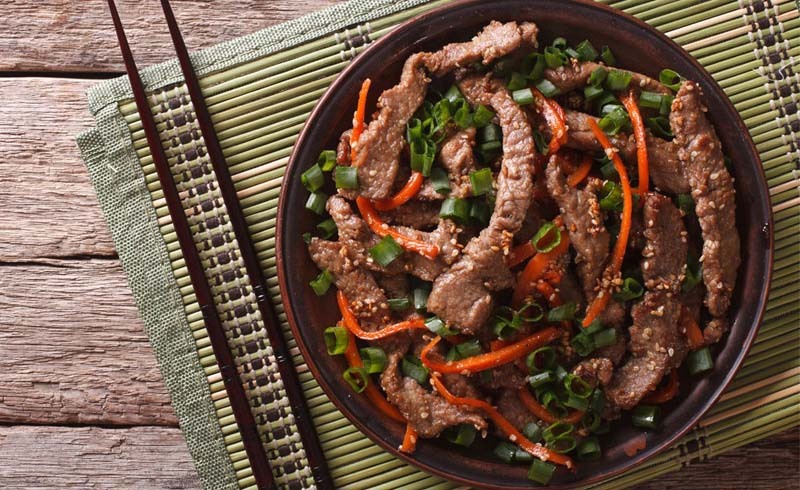 If you are leery of trying a gamy meat, try eating it in a wrap with vegetables or as part of a stir-fry. 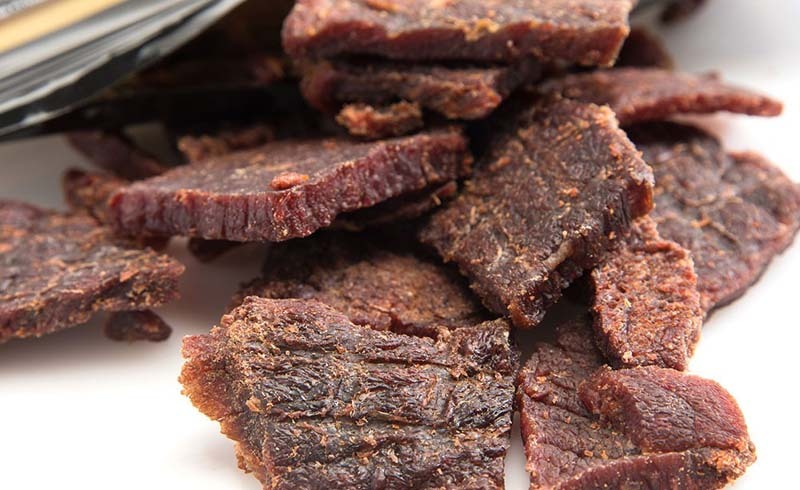 Deer jerky makes a great portable protein that can be eaten on the go.